Get inspired by Amy Adams, Fergie and Lea Michele. This is it, folks. If you&apos;ve got long hair, and you like to be what we industry peeps call "on trend," then I strongly suggest you make this hairstyle your look for holiday 2011. I say this because every season has its signature beauty thing that I gush over... remember last December it was Natalie Portman&apos;s side bun and fuchsia lippie? First, can we just talk about this outfit? As you know, I never really delve into fashion, but Oh Em Gee. Anyway, back to talking about the hairstyle! 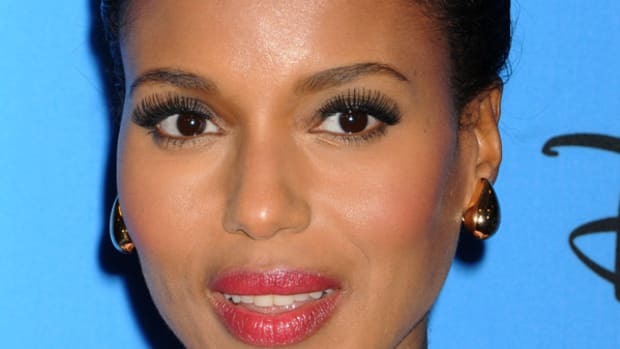 There are a few ways you could get this look—but regardless, I would start by applying a couple of drops of a smoothing oil or cream to towel-dried hair, from roots to ends. And, duh, comb it into a deep side part. If you&apos;ve got time, you can put velcro rollers in your damp hair (use 1.5" curlers) and leave them in until the hair is completely dry. Otherwise, blow-dry it out and then curl with a medium-to-large barreled curling iron, or do waves with my favourite Rowenta tool that I&apos;m always going on about. Are you dying right now? Me too. You can add a bit more smoothing oil or a glossing cream for a final touch of shine, and then hairspray to lock in the style. A quick word about her makeup: in line with my bare-faced beauty stance of late, everything is pretty low-key. (With the red skirt, it would&apos;ve been too much to do a red lip anyway.) 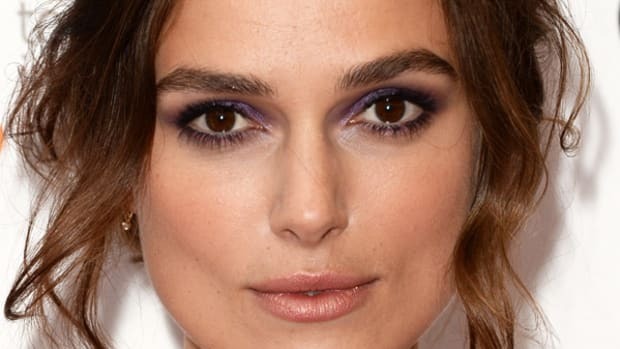 The makeup artist was going for a "daytime Old Hollywood look" here, and so he did Chanel Rouge Coco Shine in Satin on the lips (a terracotta), Chanel Joues Contraste Blush in Fandango on the cheeks, and taupes and greys on the eyes. This is definitely a more amped-up version of the look—maybe something to save for NYE? I actually love this on Fergs, since it&apos;s much more glam and grown-up than the edgy, rocker chick looks that she&apos;s usually sporting. Notice how her hair above the forehead is way more swoopy and dramatic than Amy&apos;s.
This is almost an exact replica of what Amy did, except with different tones in the makeup, of course. I would have preferred a lighter lip (it&apos;s a bit M.A.C Twig from the &apos;90s, no?). But the lashes are a nice touch with the otherwise bare-ish face. See how that side part and the waves instantly makes you party-ready? It&apos;s kind of incredible. Are you a fan of this retro-looking hairstyle? What beauty looks will YOU be wearing this party season? Awards season has begun! Amy Adams, Sandra Bullock and more beauty close-ups from the 2014 Palm Springs Film Festival.